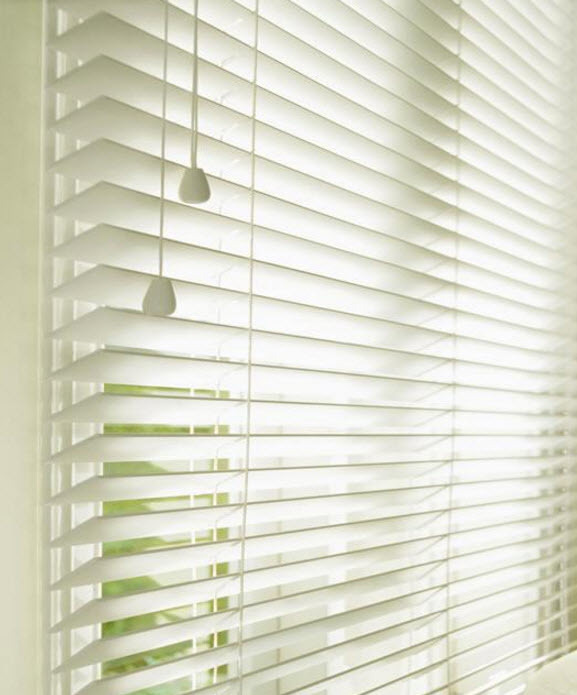 Wood Venetian blinds offer a warmer feel than the standard Venetian blind they come in three slat widths 25mm, 35mm and 50mm as standard. All have standard cord lift and tilt, you can have Mono chain operation that tilts and lowers the blind. Mains powered electric operation is available tilt raise / lower. or battery tilt only. Many colours are available including glass plains, wood stains, and Natural woods including real Oak. wood blinds offer a much softer look and feel and look more like a piece of furniture.